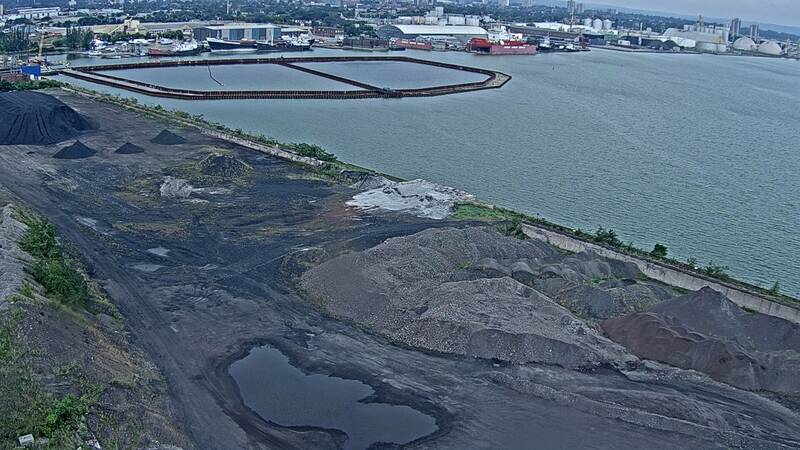 The $138.9M Randle Reef Contaminated Sediment Remediation project involves the remediation of approximately 695,000 m^3 of contaminated sediments in Hamilton Harbour.The project cost is being shared equally by Canada, Ontario and the local community comprised of the City of Hamilton, City of Burlington and Halton Region, U.S. Steel Canada and the Hamilton Port Authority. The project is managed by the Randle Reef Executive Committee chaired by Environment Canada and is comprised of representatives from the seven project-funding organizations. 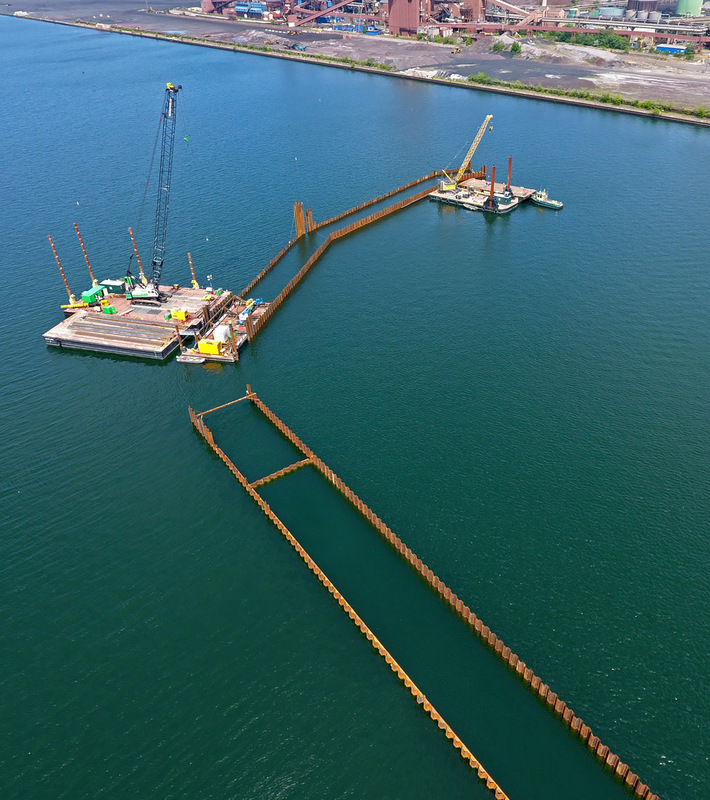 The Stage One Construction contract to build the engineered containment facility (ECF) into which the dredged contaminated sediment will later be placed, awarded to McNally Construction Inc. 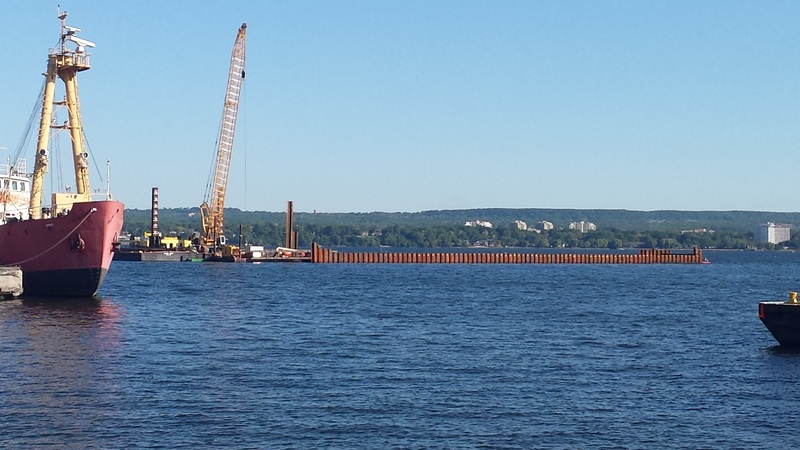 The facility will be made of double steel sheet pile walls with the outer walls being driven to depths of up to 24 metres into the harbour bottom. 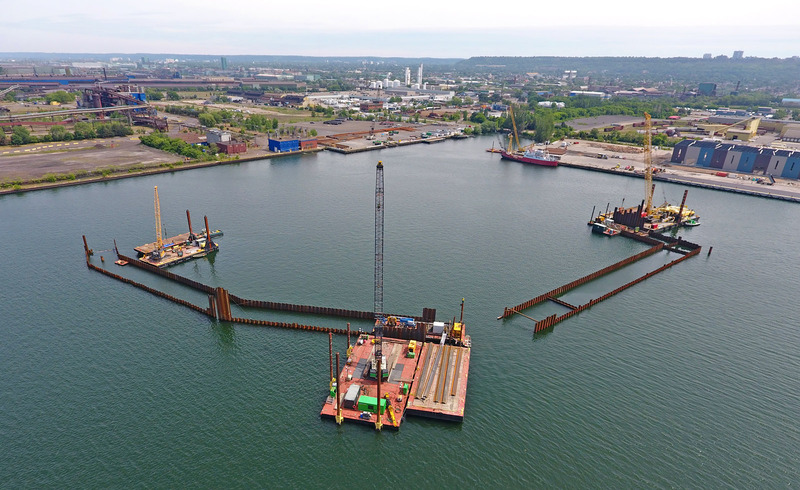 The contract for the reconstruction of an adjacent harbour wall at the Hamilton Port Authority’s Pier 15 was awarded to Dean Construction Co. Ltd. The contract for providing civil engineering services for the supervision of Stage One Construction, including preparations for construction oversight and monitoring of air and water quality during construction was awarded to Riggs Engineering Ltd. The Randle Reef Sediment Remediation project is planned to be undertaken in three stages over seven years between 2015 and 2022 and has a total value of $138.9 Million. 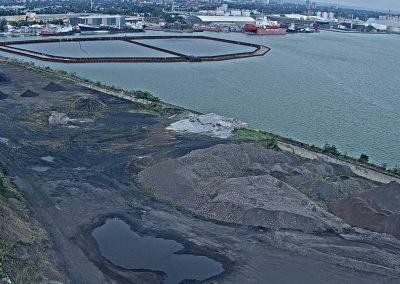 Stage One will see the construction of the Engineered Containment Facility (ECF) into which the contaminated sediment will later be dredged and placed. The facility will be made of double steel sheet pile walls, with the outer walls being driven to depths of up to 24 metres into the harbour bottom. Preparations will began in 2015, and in-water work began in the spring of 2016. Stage 2 includes dredging of priority 1 and 2 contaminated sediment (the most highly contaminated sediment) and placing it into the ECF. Stage 3 includes the final capping of the ECF, and the in-situ capping of the lesser contaminated sediments. These contracts will be tendered at a later date. Cleaning up Randle Reef is the last major step remaining in order to remove the Hamilton Harbour from the list of Areas of Concern in the Great Lakes. Restoring water quality in Hamilton Harbour will have positive impacts on the community and the entire Great Lakes ecosystem. If you have questions or concerns about the Randle Reef construction project: Click here to find out who to call. If you have questions or concerns regarding this project, please contact Environment and Climate Change Canada’s Public Inquiries Centre toll-free at 1-800-668-6767. You can also obtain further information about the project by visiting www.randlereef.ca. anything that concerns you, a 24-hour notification system is in place to alert local, provincial, and federal authorities. In the event of an environmental emergency, please call the Ontario Ministry of the Environment and Climate Change’s Spills Action Centre 24-hour toll-free number at 1-800-268-6060.